Helping overwhelmed underpaid business owners take their business from Boring, Bland and Bankrupt to Sassy, Sophisticated and Sought after in 60 Days! they just can’t find you . . .
they can’t buy from you. It’s time for an easier way. 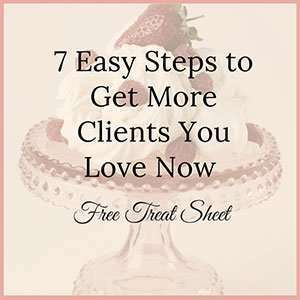 You need more clients, even more so, you need more clients that will pay you and won’t balk at your pricing or make you want to pull your hair out of your head. You are working yourself to death trying to do everything, for everyone and the word “no” is definitely missing from your vocabulary. You keep investing in coaches, social media, advertising or any number of things because you don’t know where to turn for help to find more clients. You attend networking events regularly, are using advertising and have a website, but none of them are regularly delivering clients or money. You know you need a brand – because everyone is telling you so, including Facebook, Instagram, and Google – but there is so much buzz around the word that you aren’t sure what you actually need or what a “brand” really is. Are tired of wondering where your people are? Are sick of spending money and not getting a return on your investment? BECAUSE YES YOU CAN HAVE A BUSINESS FILLED WITH CLIENTS THAT YOU LOVE, THAT PAYS YOU WHAT YOU DESERVE, AND HAVE THEM WILL FLOCK TO YOU! Not everyone likes vanilla ice cream. That’s why there are a bunch of different delicious flavors like rocky road, mint chocolate chip, strawberry cheesecake…and the list is endless. You, my friend, are NOT vanilla ice cream. You are smart, creative and bring a bit of zippity-do-da to the table. Am I right? So why would you show up just like everyone else in your business? Running a business is similar, you can serve up a vanilla solution to everyone you meet with a laundry list of things you do – but you will look like every other business doing what you do. Making you more like a milkshake, than a banana split. How is that keeping you top of mind or making you stand out to those you REALLY want to work with? It isn’t! Having the base ingredients in your business is essential. But adding in the nuts, sprinkles, and cherry on top is how YOU will appeal and attract the people you really want to work with. The good news is . . . there is an easier way. Imagine walking into a room and having people approach you and say they not only know who you are, what you do, but THAT your awesome reputation proceeds you. What if instead of feeling like you are speaking a foreign language when you explain what you do, you had the precise words that would have your ideal clients eating out of your hand? What if you also had tools to help you create not only messaging but a roadmap that you could follow now and into the future for your business? What if someone held your hand along the way with in-depth training, cheat sheets, tutorials and templates to help you figure out how and where to find your people, talk to them and become the talk of the town? It’s time to be the business that is memorable, exceptional and profitable – once and for all. And that my clever minx is why I created this solution! Learn what you MUST know to stand out, stay top of mind and build a profitable brand and business in 60 days or less. I’ve poured hours into the Building A Profitable Brand Course to share the exact process I have used to help my clients build profitable and memorable brands for the last 10 years. The whole plan is yours for the taking. 15 easy to follow videos, teaching you the step-by-step processes I’ve used when consulting with my small business clients over the last 10 years. All the templates, resources, and tutorials and tools I use every day to create memorable and profitable brands with my consulting clients, often with results in less than 30 days. I want you to succeed. It’s hard to reach success all alone. Which is why I am dedicated to supporting you both during the program and beyond. The private Facebook Community is a great place to connect, further your learning and ask questions. You will also get included in community bonuses and be part of the “first to know” crew when new products or promotions are released or announced. Let's Build My Brand, Alisa! Module 1 you will learn branding basics such as the difference between business and personal branding, and which is right for you. Module 2 covers the essentials to create a strong brand foundation. 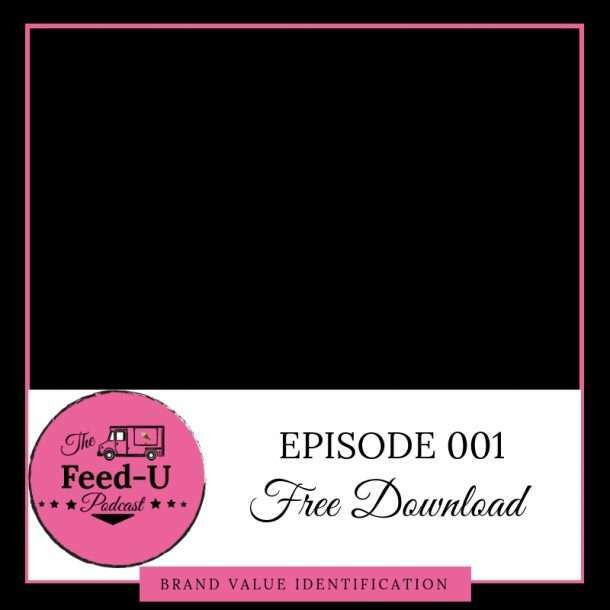 There are over 8 Worksheets and Resources in this module, you will truly be creating the “map” for your brand. Module 3 is likely the one you have been waiting for. This is where we finally get to talk about getting pretty. 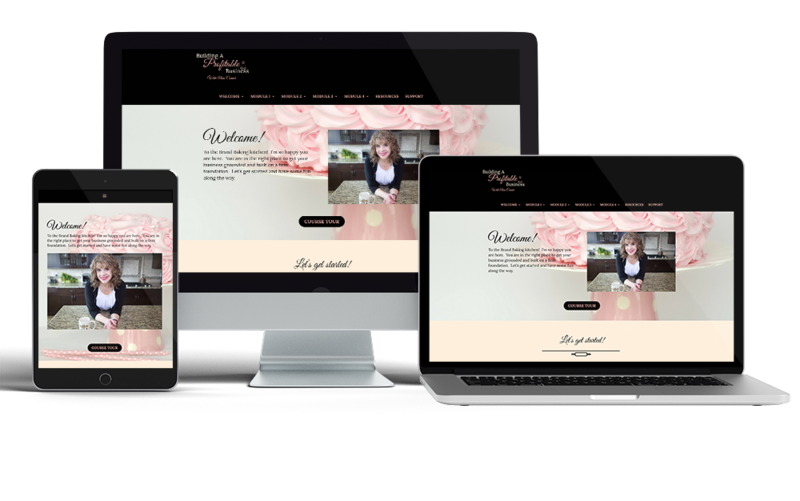 You will learn all the inside scoop on how to choose your colors, fonts, logo and even which photos to include. Module 4 teaches you where to use your brand to get traction. You will also have the insiders view on whether to brand or rebrand. How can I be sure the Building A Profit Program is a good fit for me? This course is not a good fit for you if you haven’t nailed down your business yet. You need to have a viable product or service in order to create a brand. 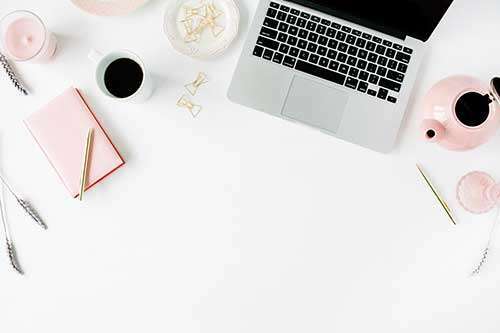 It doesn’t have to be flourishing yet, but you do have to have a well fleshed out idea of how you are going to make money and what you are doing as a business. This course is not a good fit for you if you have a closed mind and are not open to change when it comes to business and making changes. If you have the mindset of “I’ve done all this work before” and are unwilling to shift that perception and try things a new way instead, the Building A Profitable Brand Program is most likely NOT a good fit for you. 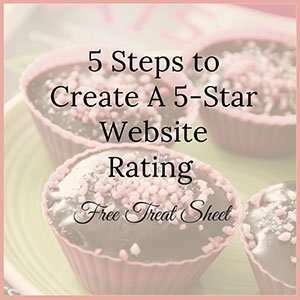 If your plate is already to the brim and you can’t carve out a few hours each week to work through the Treat Sheets, Videos, and Tutorials – the last thing I want is to send you over the tipping point. The Building a Profitable Brand Course may not be a good fit for you right now, but once your load lightens up – I’d love to see you back in the future. I’m pulling out my mom voice here – there is NO SUCH THING as a “get rich quick” scheme. Anyone who tells you that also likely has some waterfront property for you to look at in Arizona. Having any business takes work, both external and internal. Does that mean it’s impossible or that you can’t make it happen? Of course not, you can do this! But, Building A Profitable Brand takes work and if you are looking for a get rich quick approach, this isn’t the course for you. The one thing that people don’t realize about creating a personal brand is that it’s personal. (Probably a pretty good hint there – ha!) Which means there is a lot of personal digging that needs to be done. Meaning you need to give yourself the time and space to dig deep into why you do what you do and your deeper reason for having your business. 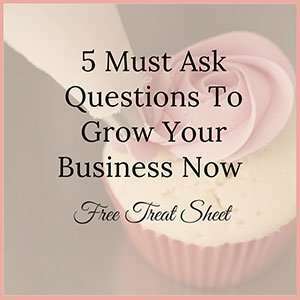 If you want to rush through the Treat Sheets and not connect to the deep-rooted why of your business, this process won’t be successful long-term. This is your baby, you have to do the work in birthing it – no one else can do it for you. As the saying goes, if it were easy, everyone would do it. This isn’t the course for you. For the love of Pete, hire someone to do this for you – you don’t have the time or energy to be here because you have bigger fish to fry and wider nets to cast. I’d be happy to help you as a consulting client but skip the course. How much is the Building A Profitable Brand Course? You could totally keep the “Hail Mary” version of your business going wondering how to pay the bills each month with no clue how to make that happen. All the while wishing on a star for more clients and keeping that “I hope I don’t have to go get a J-O-B again” garbage in your head . . .
You could take the leap, try something new and actually get a stack of regular paying clients that keep referring you new people all the time. Let's Build My Brand Alisa! Like you, I’m a creative at heart. My two greatest passions are food and helping creative entrepreneurs succeed (I count wine in the food category), and not necessarily in that order. Helping others succeed where I struggled forever, and watching them achieve their gargantuan goals (I’m pretty sure that’s a word) is where I thrive. But what is branding really? Simply, it is the ability for you to remain top of mind when your people (yes you have people) are ready to solve their specific problem. Let’s look at Tylenol for example. When you have a headache, you likely reach for a pain reliever – like Tylenol. If you have children, you nearly always reach for Tylenol. From teething to fever to you name it – Tylenol saves the day. See the problem there, and how Tylenol is literally a household name? That’s what I do with your brand. That is branding at it’s best. Literally, I see it everywhere. On family vacations, my 3 teenage boys (13, 13, and 16 – yes I have twins) have perfected the ching-ching-ching sound of their eyeballs hitting the back of their head from rolling them so hard when I say look at the amazing branding here or look what they did there. I know you love cooking Alisa, but what does it have to do with branding? I 100% believe anyone can cook or grow their business with the right tools, a little direction, and the right ingredients. 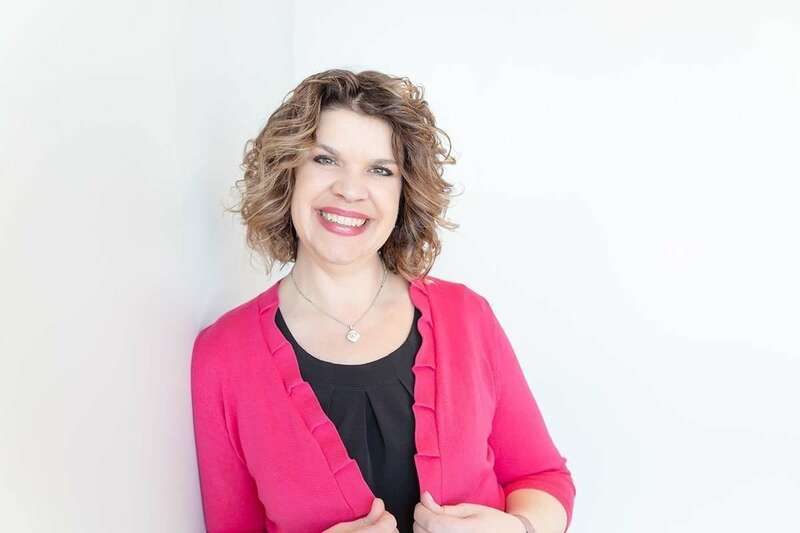 My consulting practice and online programs were created because entrepreneurs would approach and ask me how to grow their business and get actual clients who paid them. When I used the terms branding and marketing their eyes glazed over and I lost them. Mind you branding didn’t have the attention it has now and was mostly reserved for corporations with big pockets and lots of money, times have a changed with the internet. But what I found was that, oftentimes business owners found themselves spending money on things that weren’t working, and that they didn’t understand what they were paying for and why it wasn’t working. My people were wearing themselves thin by trying to be on every social media site under the sun because that’s what everyone else was doing. Worse, they were going broke paying for advertisements and the latest “customer generation miracle” that wasn’t helping them grow or expand. Even worse, sometimes they lost track of what they were paying for and why. It doesn’t have to be this hard or expensive, promise! It’s time for a new way, a different way – a way that actually brings you results. Who is a good fit for the Building A Profitable Brand Course? Open minded learners who want to discover a new way to fill their client list with a tried and true tested and long-term plan for growing their business. Creative business owners who have 1-2 hours a week to invest in working through the program. I want you to succeed, in order to do that, you have to actively participate in the program. I can’t do the work for you – so you have to commit and show up regularly. Small businesses who are willing to dig deep into their “why” so they are really clear on what they do, why they do it and whom they serve. Is this course limited to the United States? Anyone in the world can take this course! I would love to make some new international friends, however, the whole course is created in English. If you are not fluent in English, that could be a hiccup. Does the Building A Profitable Brand Course Include 1 on 1 Coaching? Unfortunately, no 1 on 1 coaching is not possible. However, I will be showing up regularly in the Private Facebook Group in order to answer questions and give extra training. You will always have the opportunity to submit your questions to be answered during those times. You lucky duck you! 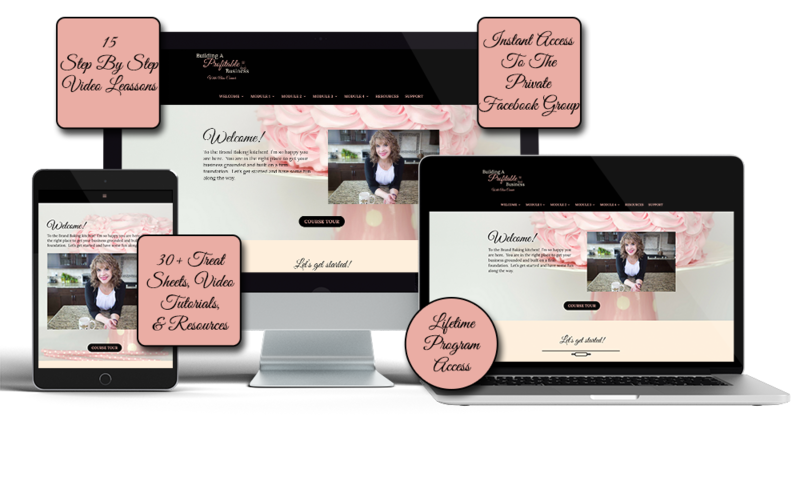 You will receive instant lifetime access to all the recordings, videos, treat sheets, resources and extra goodies in the course including the private Facebook Group. The Building A Profitable Brand Course is self-paced so you can take as long as you would like or power through it, it really will depend on you. I’ve designed the course in bite-sized chunks so you can determine how much you want to chew off. Typically students complete the coursework in 60-90 days.